Now that we’ve finished 1 Peter, the only logical thing is to head straight into 2 Peter. They are two very different letters. As far back as the 2nd Century people questioned Peter’s authorship of this letter – and of course we can never prove anything beyond all doubt – but there are lots of pretty good arguments to consider it a genuine work of his. The overall theme of this letter is an encouragement for followers of Christ to keep on growing and avoid the pitfalls of erroneous teaching that could derail their progress. The tone will be a bit more urgent than his previous letter (written, as best we can tell, about 4 years prior to this). This Sunday we’ll be reading the first four verses. 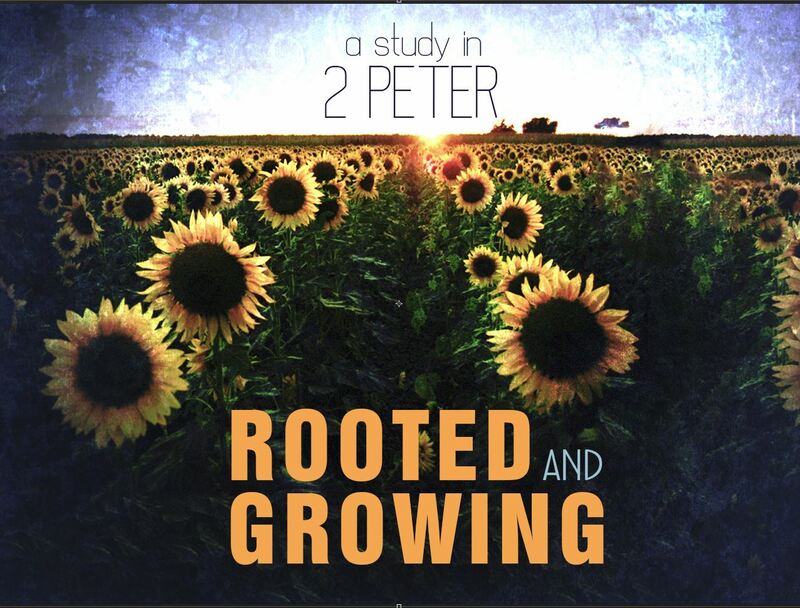 Peter starts with the basic greeting, extending a hope that his readers will experience grace and peace from Christ. Those are the two New Testament ideals for the good life, a life as God intended it to be. Filled with favor from God and wholeness in our self-understanding. As he goes on, he indicates in v4 that we are drawn into this good life through a knowledge of Christ. What ways do we grow in our knowledge of Christ? Peter says we have these promises that we “partake of the divine nature”. That’s a staggering statement, to me. In union with creator God. What difference does this make, if any, on how you view your meaning and purpose in this world? Take some time before Sunday to pray and ask God to lead you into a greater knowledge of Christ – and ask him to reveal what it is to partake of the divine nature. A partaker of the divine nature sounds blissful at the very least…I looked that word up and it said, partaker- sharer, associate, companion, partner…Nothing could be more inspiring than to know that we are partners and companions with a Divine God! This past week I wasn’t feeling great and had taken some time off to be with Jesus and discuss things. I was feeling exhausted, sick and discouraged. But Jesus was kind. He did two things, one was show me an area of my life that really needed some discipline AND encouraged me immensely through the phone call of a friend very shortly after I had bared my heart to Him. Alone we can do nothing but with His friendship and guidance, we find peace and purpose along this journey.